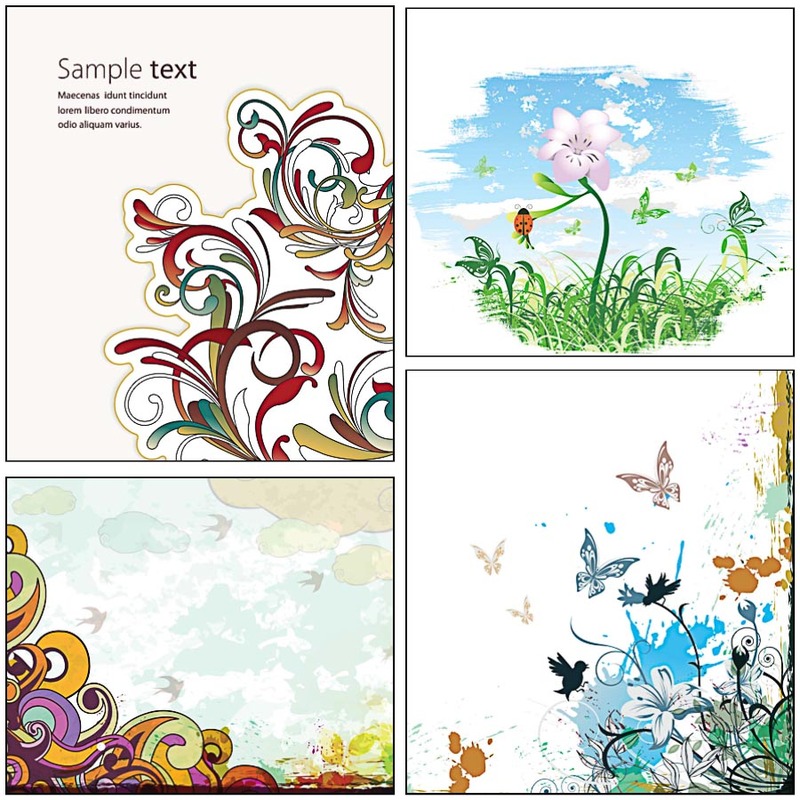 Set of 4 vectors with floral swirls backgrounds with butterflies for your illustrations, cards and other designs. Free for download. Tags: background, butterfly, floral vector, ornate, spring vector, swirls, vintage vector.